For the last few months I’ve been looking forward to the upcoming X-pyr race, crossing the Pyrenees from the Atlantic to the Mediterranean. Here are some photos, maps, and thoughts about the race, following the road trip with my Aussie mates last month. The adventure starts on July 13th – the same day Holland will win the World Cup! In a straight line from start to finish the course is over 400km. However there are seven turn points on the way which more than double the distance you would have to walk. 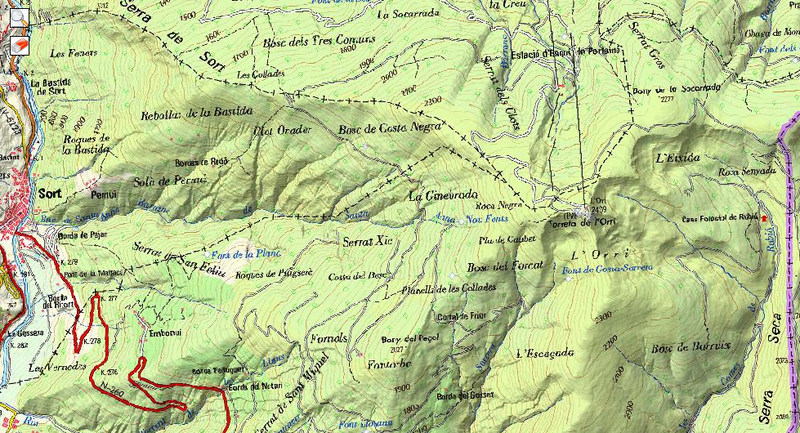 The turn points are all on the Spanish side or the French border, making sure you don’t stray to far from the mountains with the pinnacle being an ascent of Aneto – we must pass within 100 metres of the highest peak in the Pyrenees. Each night between 10:30pm and 5:30am I must stay and rest wherever I end up. Carl will be supporting me with a car full of goodies, spare batteries, and a tent. I can only fly between 7am and 9:15pm, and I must carry my flying equipment at all times. We will have live tracking and provide regular updates to X-pyr through their website. To get to know the area, check the online IGN maps, and the paragliding thermal maps. 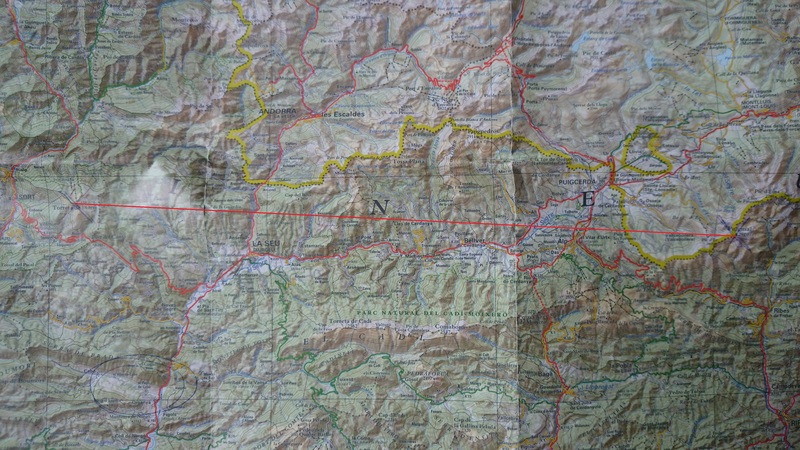 I have a paper map covering the Pyrenees for Carl, and I have two topographic maps – the french IGN 1:200,000 Pyrenees Ouest for the Basque country, and the Spanish ICC 1:250,000 map for Catalonia. 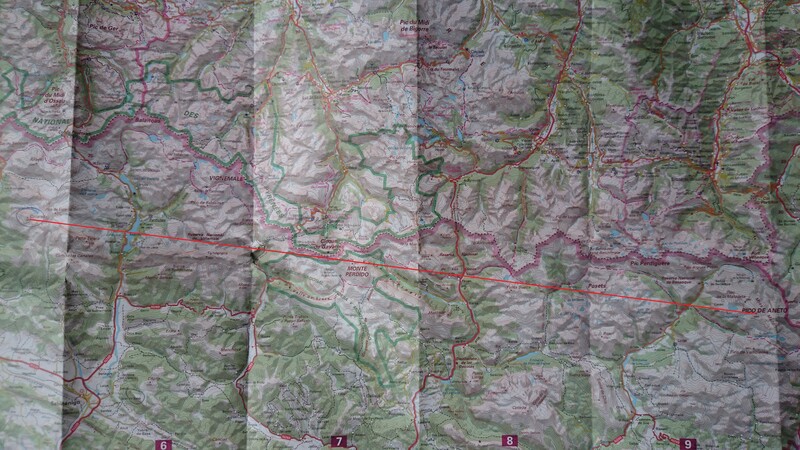 For navigating in closer detail I have OruxMaps on my phone with open source maps including contour lines (dem). The race starts at 11am on Sunday with a rather rough 15.1km (straight line!) leg from the beach to La Rhune (870 metres). I’m not sure if flying is possible before reaching the turn point but I’ll be following the others for this stage. I anticipate that there will be a sense of urgency if the weather is at all flyable, since it’s a long way to go while the sun is high in the sky. I will be travelling only with minimum equipment, walking fast, but not trying to break any records. I’ll aim to be with the main leading group. I may change my shoes when arriving at the turn point. I haven’t explored this area yet but Google Earth and photos on the internet show it to be a beautiful maze of green hilly country, perfect for landings and launches. I’ll still try and be conservative since it’s the start of the race and flying with the others will be tactically advantageous. During this stage the scenery changes from lower hilly country to high limestone cliffs. I have some photos from my flight on 20th June. Option 1. Cross Esca valley (town of Isaba). Push out on front main range. Option 2. 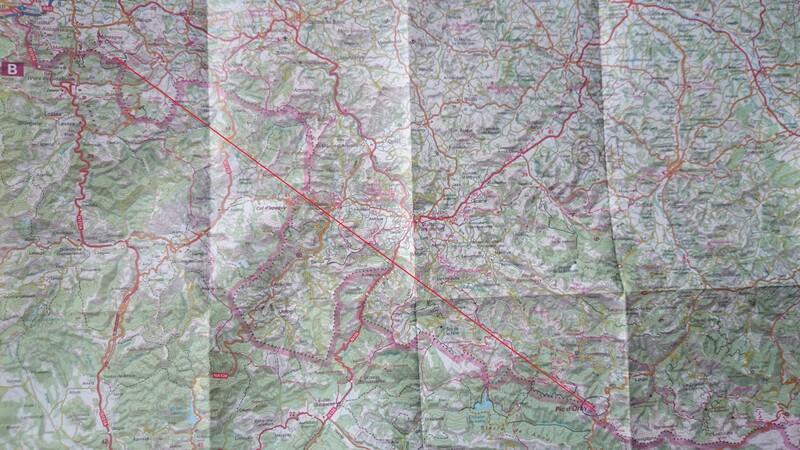 Follow border / divide to Pic d’Anie, then follow north of GR11 to Col du Somport. By foot, high route. Cross Port de Larrau and continue 2km along border before dropping into valley. 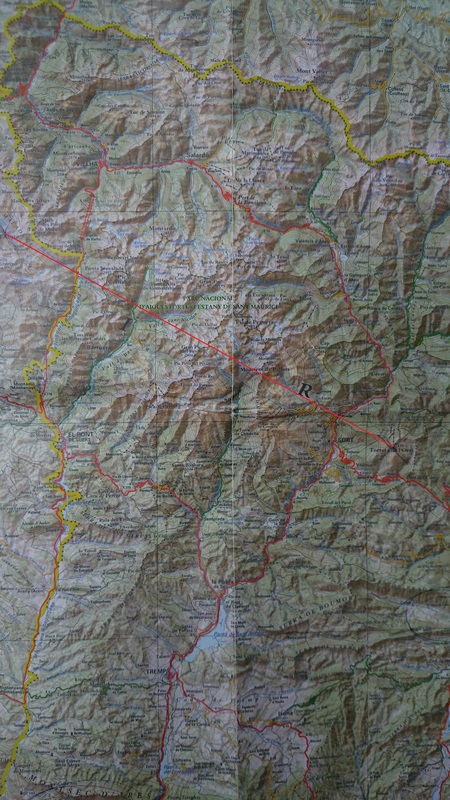 Pass Uztarroz, Isaba, take track to Belabarce river, Zuriza, 1900m passes each end of the GR11. By foot, front route. 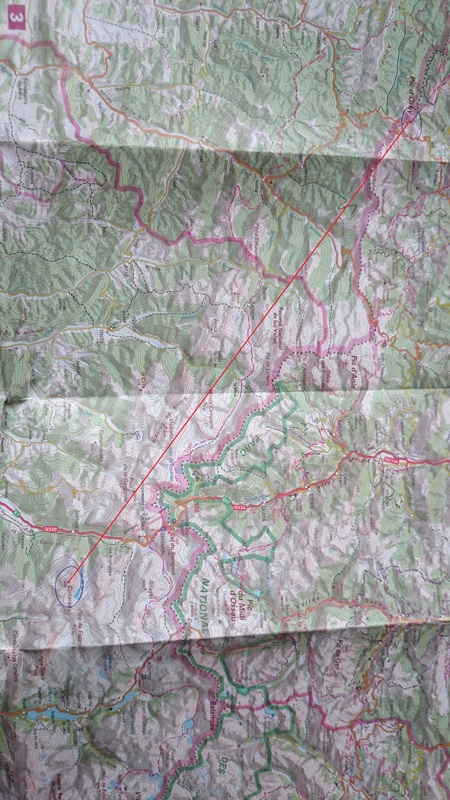 From Isaba right angles to course line (SSW), to Anso, Hecho, Jasa, Aratores, roughly 1000m alt. This stage is full of spectacular mountains, again I had a glimpse of these on my 20th June flight. 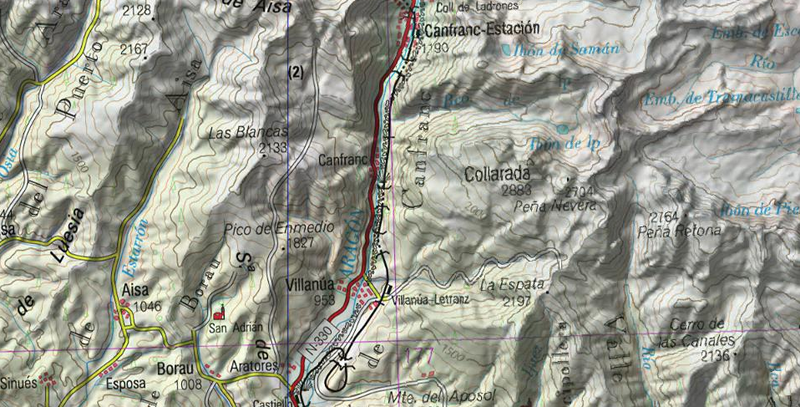 Orientation notes: From Collarada, 13km to Biesca valley. Further 30km to Mt Perdido. From Mt Perdido follow SE (or ESE) 18km to road south of Bielsa (not Biesca). Follow valley features, 2000m pass to Benasque valley. Once in the Benasque valley I have to climb Aneto, although if I can approach within 100 metres of the summit by the air I don’t need to land. I know the area here quite well. 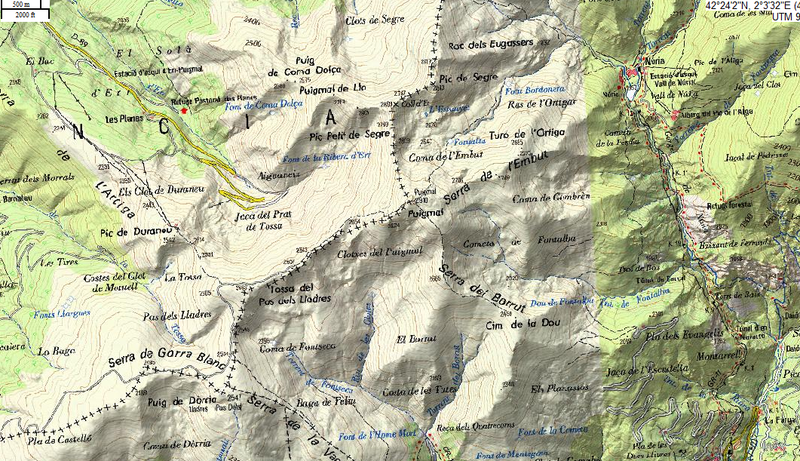 South of Aneto is the most well known paragliding site in the high pyrenees, Castejon de Sos. We have flown here several times and the classic XC route is to fly east to the next turn point (near the town of Sort) and beyond. On a good day it should be easy kilometres. 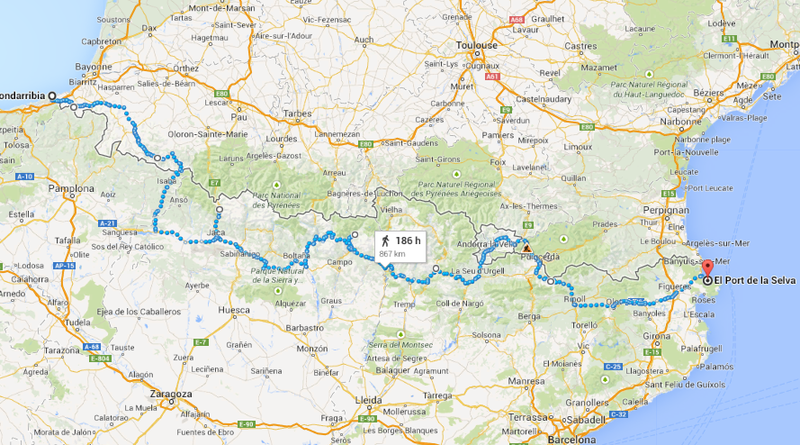 Orientation notes: Most fly along the front spurs, crossing to hills behind (NW of) La Seu D’Urgell. Many crossings to town but done presumably in reverse direction from Carl’s ridge (a well defined ridge south of the main valley which he kept raving about). 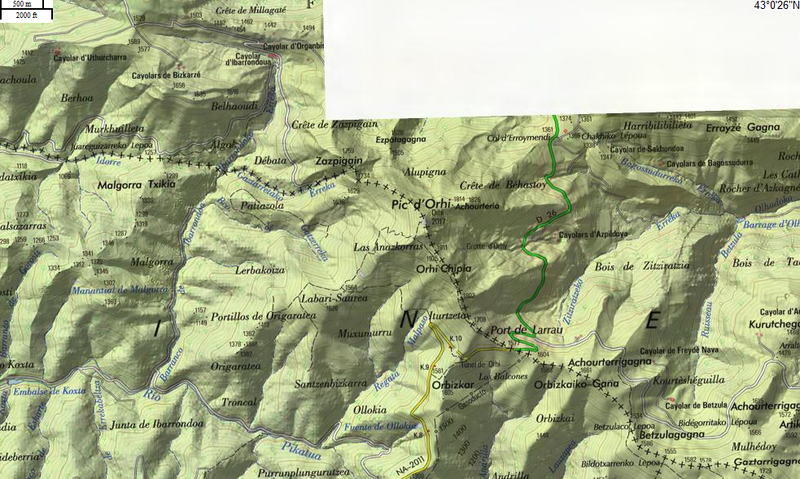 Walking from La Seu (700m) to pass (1400m) on Carl’s ridge is 25km on the road (couple of shortcuts presumably possible). Better to take river from Tost (due west of Carl’s ridge). Note, Col de la Perxa (convergence??) is about 15km ENE of Puigcerda, maybe 12km N of Puigmal. I had a flight just southwest of Puigmal and took some photos but there were some rather large clouds so we didn’t go XC. The thermal maps show lots of flying on south side of ridge we flew near Puigmal, but could follow Puigmal range (noting high peaks around 2600m 10km to E) and join up later. 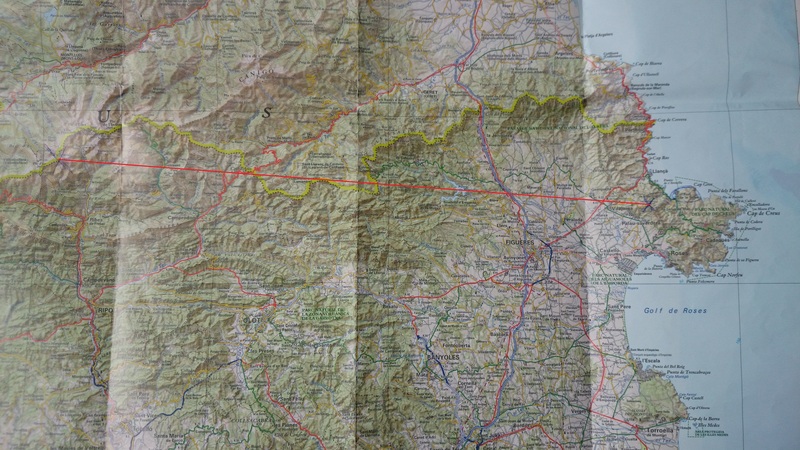 So I’ve had a sample of a good slice of the Pyrenees – which will be the hardest part of the X-pyr? Well, the answer to that all depends on the weather! This entry was posted in Uncategorized and tagged adventure racing, flying, paragliding, parapente, pyrenees, share my joys, x-pyr. Bookmark the permalink.